Originally from Korea, this species has slightly wavy, green, heart shaped leaves which are pinched at the squarish base. It is a miniature size (about 6 inches high by 20 inches wide) plant, forming a dense mound. The lavender flowers with darker veins and purple/yellow anthers appear from late June into July. Due to its size, H. venusta and its cultivars are favorites in rock gardens and in the front of beds and borders. The Genus Hosta by W. George Schmid (1991), says that this species is known as the "(beautiful) maiden hosta" in its native Korea. H. gracillima is sometimes confused with H. venusta "...but the flowering scape of H. gracillima is smooth while that of H. venusta has ridges, and this difference can serve as a positive identifier." From the Field Guide to Hostas by Mark Zilis (2014), "To many hosta collectors, H. venusta ranks as the top mini species." The New Encyclopedia of Hostas by Diana Grenfell (2009) states in its Miniature Hostas chapter: "A variable species in leaf size and shape. More suitable for small containers and rock gardens than a border, where it is likely to become swamped by larger plants." A Photo Essay article by Steve Chamberlain in The Hosta Journal (2010 Vol. 41 No. 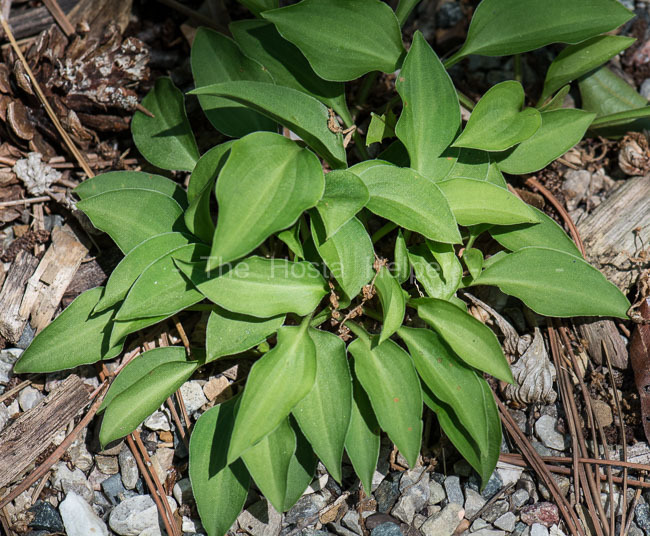 1) makes comments about H. venusta, "This is the smallest hosta species. Wild-collected examples of H. venusta vary considerably in size and appearance from this clone, which is the one widely available in commerce...tends to form a carpet rather than a clump as it matures." An article by Glenn Herold in The Hosta Journal (2014 Vol. 45 No. 1) states that, "Korea has eight native hosta species: Hosta capitata, H. clausa, H. jonesii, H. laevigata, H. minor, H. tsushimensis, H. venusta and H . yingeri. H. laevigata is closely related to H. yingeri, H. minor is closely related to H. venusta, and H. tsushimensis is closely related to H. jonesii."